(a) Grounding of Electrical Systems. Electrical systems that are required to be grounded shall be connected to earth in a manner that will limit the voltage imposed by lightning, line surges, or unintentional contact with higher voltage lines and that will stabilize the voltage to earth during normal operation. (b) Grounding of Electrical Equipment. Conductive materials enclosing electrical conductors or equipment, or forming part of such equipment, shall be connected to earth so as to limit the voltage to ground on these materials. Where the electrical system is required to be grounded, these materials shall be connected together and to the supply system grounded conductor as specified by this article. 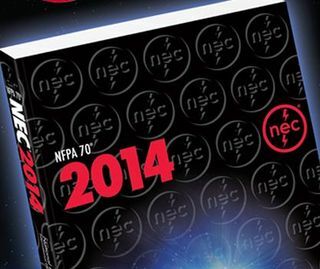 Where the electrical system is not solidly grounded, these materials shall be connected together in a manner that establishes an effective path for fault current. (c) Bonding of Electrically Conductive Materials and Other Equipment. 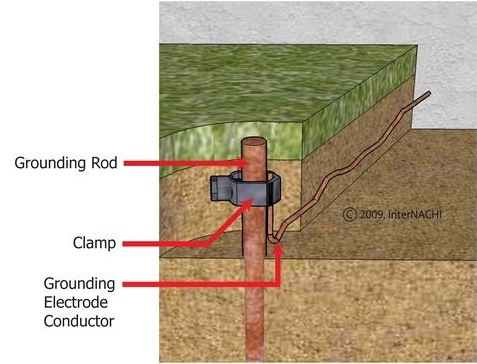 Electrically conductive materials, such as metal water piping, metal gas piping, and structural steel members, that are likely to become energized shall be bonded as specified by this article to the supply system grounded conductor or, in the case of an ungrounded electrical system, to the electrical system grounded equipment, in a manner that establishes an effective path for fault current. (d) Performance of Fault Current Path. The fault current path shall be permanent and electrically continuous, shall be capable of safely carrying the maximum fault likely to be imposed on it, and shall have sufficiently low impedance to facilitate the operation of over current devices under fault conditions. If you have concerns about your business or home grounding contact a licensed electrical contractor.